On the auspicious occasion of Eid Al Fitr, I am most pleased to express my heartiest Eid Mubarak greetings to the Muslim community in New Zealand. I thank and praise Allah (Subhanahu Wa Ta’ala) for blessing us to successfully complete our fasting and offering yet another opportunity to celebrate Eid with family and friends. May the genuine spirit of Eid, the spirit of goodwill and peace, bring to all of you an abundance of blessings. Ameen. Muslims all over the world will successfully complete the Holy Month of Ramadan. It has been observed with all the sanctity and reverence that it demanded. It was a time for worship and reflection and brotherhood, a month that encouraged us to show care and compassion for our fellow Muslims and for non-Muslims. It inculcated patience, perseverance and everything good. Ramadan is the time when Muslims – even as we continue with our daily routines – strive to become even better by strengthening our faith, carrying out more deeds of social responsibility and expressing gratitude to the Almighty for every blessing that we have received. During Ramadan, Muslims celebrate life with intense supplication so that they may rejoice in this world and in the hereafter. The month of Ramadan is also about doing good work for society. Muslims are enjoined to do good: The Holy Quran specifically mentions that people, whether or not they are Muslims, should compete in doing good work. Helping the poor, bringing relief to the needy and orphans, and providing security for weaker members of society are but a few examples of good work. The Holy Quran states that the rewards for good deeds will be multiplied during the blessed month of Ramadan compared to the rewards for those same good deeds done at other times of the year. Almighty Allah (swt) has also promised His mercy, forgiveness and the saving from the hellfire to all Muslims as a reward for fasting in Ramadan. Eid Al Fitr marks the end of Ramadan. It is celebrated as the culmination of a month of devotion, sacrifice and sharing with others in the hope that Ramadan had inscribed in our spirits as human beings principles that will strengthen our efforts to the end. This is an occasion for thanksgiving and forgiveness and signifies openness of the mind. It is an occasion for family and friends to partake in good food and to strengthen our friendships and bonds. Eid Al Fitr is celebrated together with family and friends and the wider Muslim community, which not only helps to reinforce moral and family values and foster a sense of identity and belonging to one’s particular community, but also helps the wider Muslim community to appreciate them. 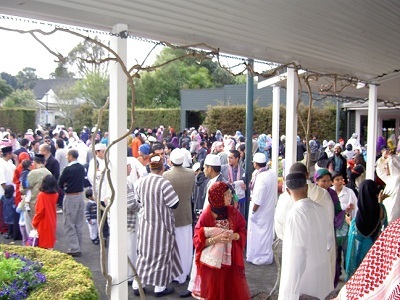 In spite of the fact that the Muslim community in New Zealand is relatively small in number, it consists of more than 50 different nationalities, and within the context of wider New Zealand society, we feel that we have always been an integral part of this nation and consider all citizens as partners in the cause of peace and prosperity, irrespective of race, faith, or ethnicity. Let us seek the guidance of Almighty Allah Subhaanahu Wa Ta’ala to lead us on the right path, the path of peace and brotherhood. Let us once again pray that a sincere effort will be made by all Muslims to come closer together and closer to God. Ameen. 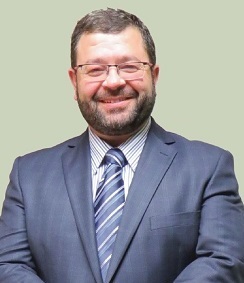 Hazim Arafeh is President of the Wellington based Federation of Islamic Associations of New Zealand.